April 13, 2019 by Laurie 1 Comment This post may contain affiliate links, which means if you click on a link and purchase something, I may earn a small commission (at no additional cost to you.) See my disclosure policy HERE. Y'ALL. HOW CUTE IS THIS PIONEER WOMAN TRAVEL MUG???? 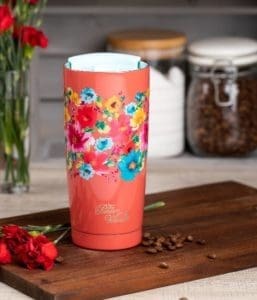 Walmart recently released several adorable new Pioneer Woman travel mugs and water bottles that are just GORGEOUS. 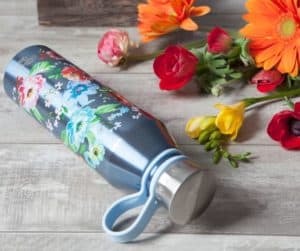 Also check out these Pioneer Woman Glass Water Bottles with Bamboo Lids for as low as $6.88! Love the deals you shate but have trouble with the link when I try to click it from your page. I eventually get to where I wanted to be but dont want you to miss out of sny benefit if your connected to the link. Thanks again for sharing, my daughter is a member also Stephanie Prince!